Bungasari uses a wide variety of high quality wheat: from soft wheat to hard wheat which is imported from the best wheat-producing countries such as the United States, Canada and Australia. From the selection process, milling to producing, Bungasari uses the most advanced technologies and skilled experts to process the finest wheat into high-quality wheat flour. This creation process is supported with comprehensive research and development, world class research facilities and the newest most advanced technology and equipment which enable Bungasari to continue to innovate and create high-quality wheat flour while contributing to help create a better and healthier life for the community. All these supreme quality resources made Bungasari a premium wheat flour producer that is capable of understanding and fulfilling all of its customers’ needs. Indonesia is an archipelago of thousands of islands. Here, more than perhaps anywhere else in the world, strategic location is one of the essential factors to ensure reliability, sustainability and consistency in production and distribution. 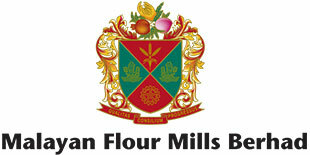 PT Bungasari Flour Mills divides activity between several strategic locations. Company Headquarters are logically sited in the heart of the country’s commercial capital, Jakarta. Production is sited in the port area of Cilegon with operational access to facilities for the importing of raw materials and shipping of finished products. To educate and engage with our customers, Bungasari offers cookery classes at the popular Bungasari Innovation Center, conveniently located near the company headquarter in Jakarta. Bungasari has modern depot facilities in Jakarta, Medan, Pontianak, Surabaya, and Banjarmasin. These key locations ensure efficient distribution to customers nationwide. Positioned here in the geographic and commercial center of Indonesia’s two major economic corridors, Java and Sumatra, we ensure that our distributors and trading partners nationwide are readily accessible. Distribution has been expanded to cover more than 45 cities which establishes Bungasari as a leading manufacturer in a growth industry. Since our instigation in 2012 up until now, Bungasari has produced 190 varieties of wheat flour products and now we are in the process of expanding distribution of these products to retailers and modern markets. This will enable wide communities to access Bungasari’s various wheat flour products. Bungasari’s products are sold in a variety of packaging sizes from 1 kg, 25kg, 50 kg and in bulk in order to fulfill the customers’ specific needs. We believe our product’s quality and services will enable Bungasari to compete in the wheat flour market. Our commitments to give the best, followed by the will to keep on improving, are our main principles to gain customer’s trust. Hence, communication is very important. At Bungasari, we do not only state that our products are the best but always try to invite our customers to try and feel the experience of using Bungasari wheat flour. This experience will then form trust and create a positive perception of the products and Bungasari brand for customers. Furthermore, Bungasari continues to maintain and develop the quality of it’s production capacity in order to expand the market share and become a leading manufacturer of wheat flour in Indonesia.